We spent our spring break in California this year and couldn’t have asked for a more perfect vacation! We spent time at the beach, the California Science Center, La Brea tar pits, Hollywood, Griffith Observatory and of course, Disneyland & Disney’s California Adventure! 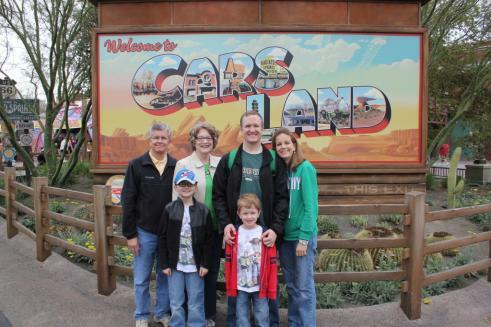 “The Real Radiator Springs” according to Noah was the highlight of our trip. We loved Cars Land and rode Radiator Springs Racers 5 times! Fun times and forever memories!